Collateral – The Storytellers. We pride ourselves in writing stories… for our clients. Audi India being one such client. We have been crafting successful stories for Audi India and over 30 dealerships across the country. Audi reached the magical figure of 10,000 cars sold within a calendar year! Reason enough to create noise and to celebrate. The creative design had to rise up to the occasion too! Collateral went to work and created an impactful story. Showcased was the brilliance of the Audi R8, in all its glory. The copy, simple and to the point. Add to that the celebratory offer that compelled the reader into action. All factors coming together, the result was a stunning creative design. The response… Client calling us to say ‘Stunning Indeed’! Show what you have to sell and show it really well is an old advertising adage. 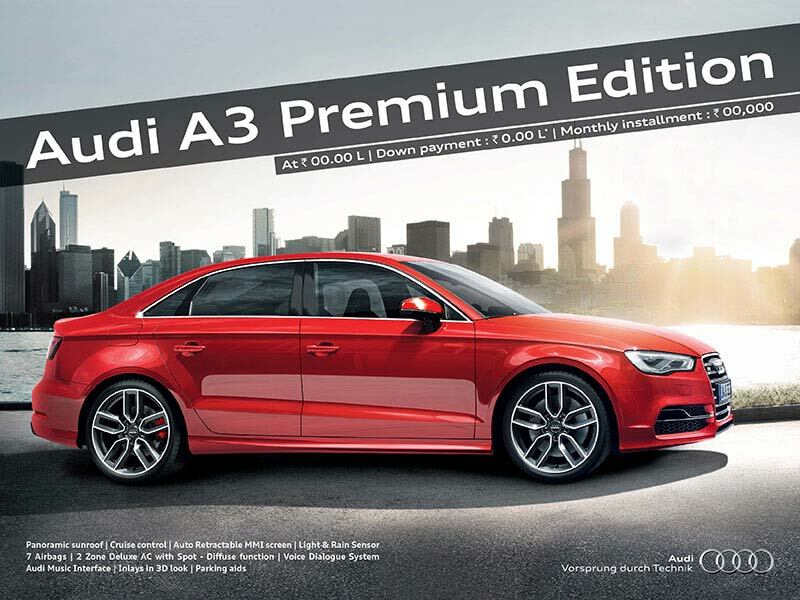 Collateral being the creative ad design agency came up with a layout where it showcased the Audi A3 in a stunning beauty shot placed amidst a ultra-modern skyline capping it with an announcer banner… our work was done. For support there were offers that one could avail of. The creative design had captured the imagination of the prospective TG. It got the ‘premium’ attention it deserved. The footfalls and enquiries had begun… it was over to Sales Consultant at dealership to take it ahead. One more story with that had a premium ending. The objective: End the year on a high. Use surprise as a tactic. Give the TG something that will make them sit up and take a note. An offer that will interest them immensely. The Offer: An Audi at the ex-showroom price. Surely a cracker of an offer. No confusion such as on-road price, registration, etc. Just walk in, test drive and own an Audi. It was like a ‘what-you-see-is-what-you-get’ offer. Collateral, the dealer support agency on record, having worked on various tactical ads for Audi India through the year was up to the challenge. The tactical ads were complement by creative ad design. The Output: Since the offer was on the range of Audi cars, the layout showcased stunning shots of three of the best cars. All lined up and ready for a test drive. The headline was simple and direct. Just like the offer. Get an Audi at ex-showroom price. To simplify it further we even equated the ex-showroom price with the on-road price. It was the perfect way to conclude the year on a high.